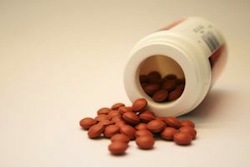 Some pregnant women receive iron supplements during pregnancy to treat or prevent anemia, but researchers in Ghana believe patients with anemia that do not respond to iron supplementation may benefit from supplemental zinc. The study, published in the Ghana Medical Journal, showed significant increases in Hb. Patients in the active group were given a combined supplement that contained 40 mg of zinc and 40 mg of iron. The control group received a supplement supplying just 40 mg of iron. In patients with anemia, the combination supplement increased serum ferritin and Hb. Patients in the control group did not benefit from zinc supplementation. Based on the study results, women with zinc deficiency prior to the start of the study were more likely to develop anemia during pregnancy. Patients with anemia were best treated with a combination of zinc and iron supplementation. Supplementing with zinc did not affect the health status of women who did not suffer from anemia, but there are no side effects associated with zinc supplementation during pregnancy, so suggesting zinc supplementation for all women at risk of anemia could prove beneficial. Source: Saaka M. Combined iron and zinc supplementation improves haematologic status of pregnant women in upper west region of ghana. Ghana Med J. 2012 Dec;46(4):225-33.